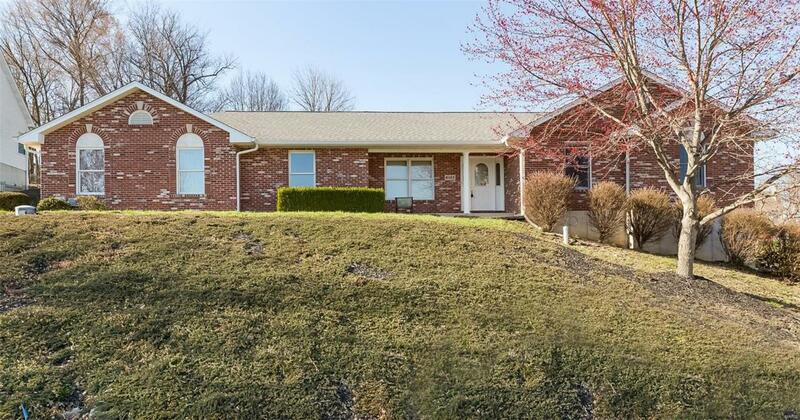 Come make this solid 3 bed/2 bath beautiful ranch home situated in a wonderful subdivision and a cul de sac a place called home! Featuring an open floor plan with lots of natural light. Vaulted ceilings and lovely fireplace face the large windows overlooking a private and quaint covered patio perfect for social gatherings and grilling. Large eat-in kitchen with breakfast nook comes with all major appliances. No going up and down the stairs with baskets of laundry, complete with washer dryer in first floor mudroom. A place to hang jackets and store boots right off of your 3 car garage. Enjoy your large master bedroom with ensuite bath and large master closet. Making your way to the lower level, 9 foot pour can be finished with a side walk out with double doors and a rough in bath. Located in a great school district and quiet neighborhood, this remarkable home in Imperial Hills Sub has so much to offer!